Become an expert in the fast-paced field of Dermal Therapy when you undertake an Associate Degree in Applied Health Science (Dermal Therapy) led by the industry leaders at The Australasian College of Health & Wellness! This recognised qualification covers four streams; offering students an excellent understanding of Human Biosciences, Applied Health Science, Health Communication and Management, and Clinical Aesthetics Practice. Gain the right thinking to analyse clients’ problems; interact with various medical specialists, distinguish between evidence-based practice and common myths; as well as form treatment plans for clients. Enjoy the convenience of online study for the majority of the course, with the opportunity to attend an intensive three-day practical workshop in Sydney. Sign up for this course and advance your knowledge, skills and your career when you get armed with one of the highest qualifications available in Australia for Dermal Therapy! Why Australasian College of Health and Wellness? Study at the Australasian College of Health & Wellness, and advance your career in paramedical, allied health, and advanced beauty and aesthetics settings, with their specially developed courses in Applied Health Science. 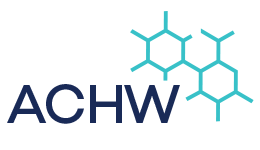 Tipped to set the benchmark for dermal and aesthetics education, ACHW is all about offering students the right combination of science and clinical practice. Their courses offer a blended learning experience, with the majority of course content conveniently delivered online, as well as a practical three-day workshop presented in Sydney. ACHW’s courses are nationally recognised and offer the highest level of tertiary education available in the field. Get the confidence, skills and right qualification to succeed in the rapidly evolving health and wellness industry. Students at the Australasian College of Health & Wellness will not only be led by leaders in clinical aesthetics and dermal industries, but they will have the opportunity to form relationships and learn from ACHW's strong industry partners. They also offer support and guidance to prospective students who are seeking a tertiary education with their free bridging course. When you join the Australasian College of Health & Wellness you’ll be part of a team who have a genuine interest in your success, which why they are committed to constantly raising the bar with their courses and student services. Upon successful completion of this course, you will receive an Associate Degree in Applied Health Science (Dermal Therapy) from The Australasian College of Health & Wellness. With this highly regarded qualification, you can accelerate your career and work in cosmetic medical clinics, medispas, dermal therapy clinics and more! Students can make upfront course payments. Other payment options are also available for eligible students. Enquire now to find out more! Fill out this form and a study consultant from Australasian College of Health and Wellness will get back to you. This course is based in Sydney and New South Wales.